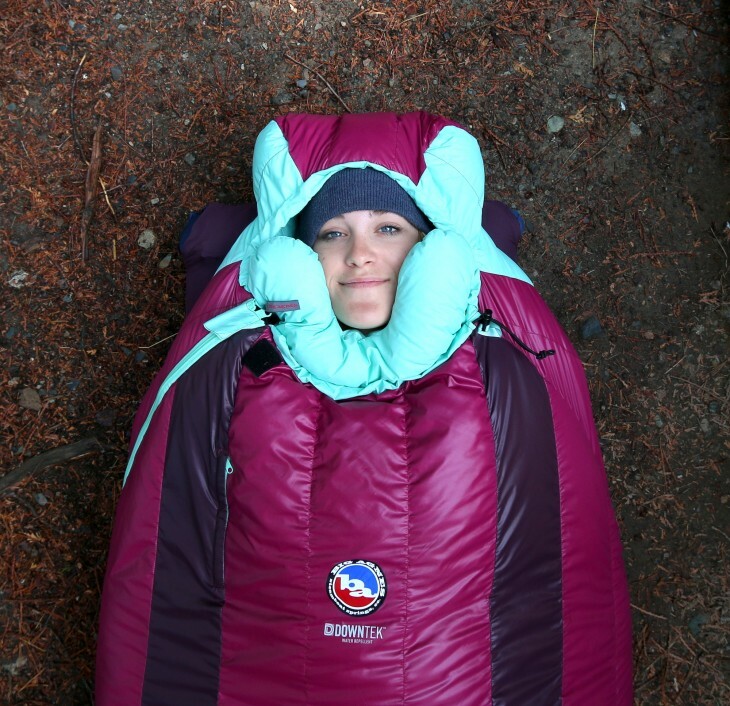 There are no words to describe how I feel about the Roxy Ann 15 Sleeping Bag System created by Big Agnes. I think this is by far one of my most favorite product tests of all time because of the innovation, comfort, and design. Basically, if you’re not camping and sleeping in a Big Agnes sleeping bag system, you’re missing out big time. 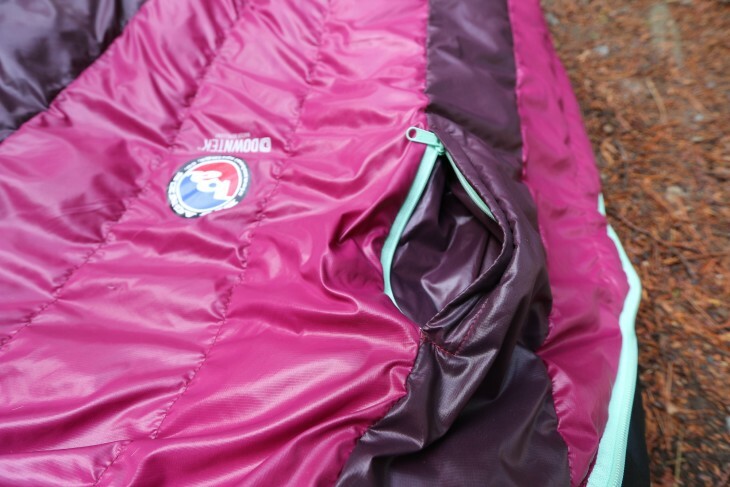 The Roxy Ann 15 is a beautiful sleeping bag that is packed full of amazing features and designed for extreme comfort, no matter what type of sleeper you are. The rectangular shape and taller side panels allow you to move around when you sleep and get into your most comfortable snoozing position. I recently had a horribly uncomfortable experience with a mummy bag that was so tight and constricting; I couldn’t even itch my foot without unzipping the entire bag. In the Roxy Ann 15, I can bend my knees, cross my legs Indian style, sleep on my side, and itch the bug bites on my ankles. As far as sizing, I’m have a healthy sized body and am 5’10 tall and the Regular fits me perfectly with room to spare. The nylon taffeta lining on the inside of the bag is so soft you’ll want to stay curled up in this bag all day. The shell fabric is breathable and finished with water repellency—combined with the DownTek insulation (water repellant and warm)—you’ll be ready for any weather thrown your way. The nylon shell fabric is also a rip-stop material; so feel free to sleep literally anywhere. The Roxy Ann 15 will hold up to the abuse. One would expect a bulky, firm, and rough fabric out of a rip-stop fabric but that is not the case at all with the Roxy Ann 15. The outer shell is almost as soft and friendly as the inside. Another amazing technology embedded in the Roxy Ann 15 is Insotect Flow construction. The vertical down baffles allow for uniform heat distribution throughout the body. This technology eliminates bunching and cold spots and allows the down to move with the contour of the body! You can have the warmest down on earth but if it doesn’t distribute evenly, what’s the point?! 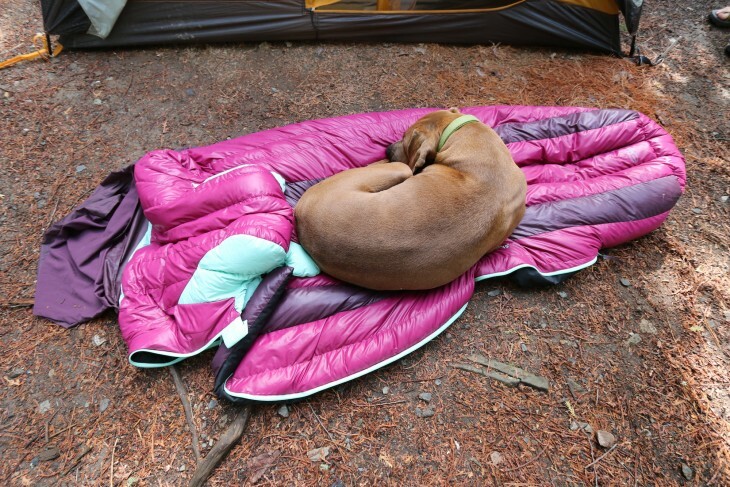 Now on to my favorite part… Big Agnes has created the Sleeping System. 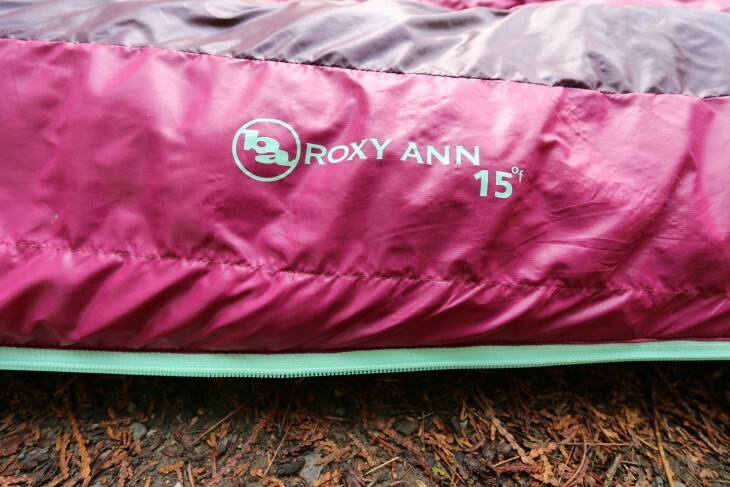 It is important to know that the Roxy Ann 15 is not insulated on the bottom as it is designed specifically to be used as an integrated system (bag + pad). The sleeping system is wonderful for many things but my most favorite is that I will never roll off of my pad again—no more waking up on the rocks, no more finding yourself half on your pad and half on your partners pad! 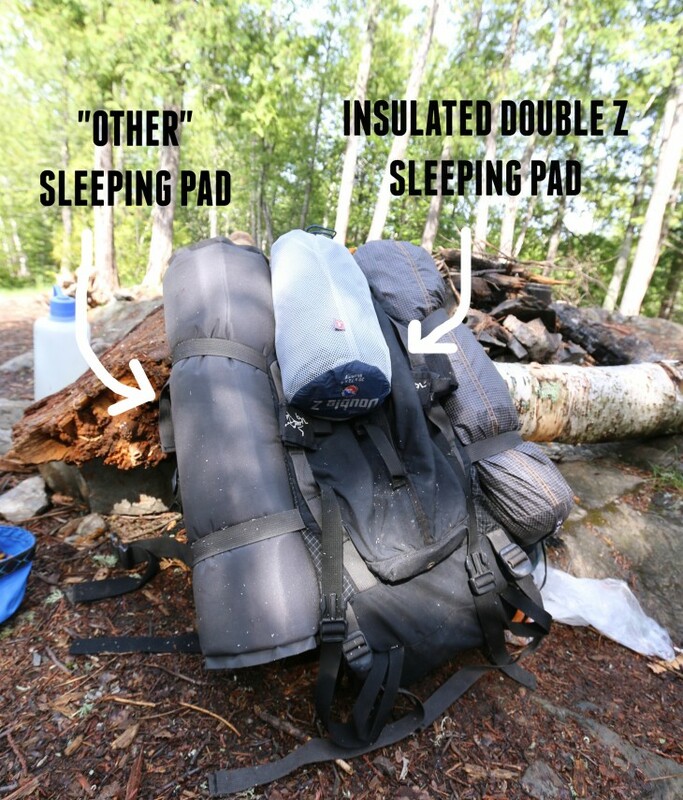 The pad that I use with my integrated system is the Insulated Double Z by Big Agnes. Until recently, I didn’t know that packable and comfortable sleeping pads existed (I mean I had a typical pad and always just settled for below mediocre camping comfort). What a mistake! This pad is 10x more comfortable then any pad I’ve slept on and it packs down to such a small size and weighs in at 21oz. 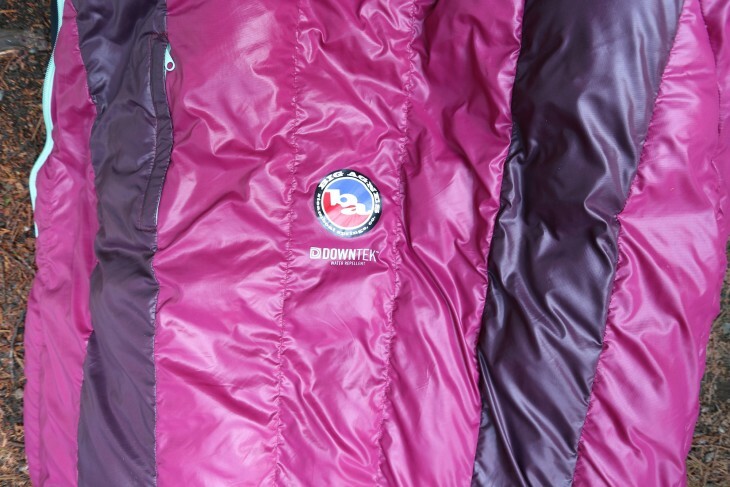 The Double Z is insulated with a Primaloft Hi-Loft synthetic insulation and matches the Roxy Ann 15 as it is rated to 15 degrees. The two-piece valve allows you to inflate this four-inch thick pad in no time and deflate even quicker. No more slowly rolling your pad out on the ground trying to squeeze every last little bit of air out. There’s nothing negative I can say about Big Agnes’ sleeping system. The Roxy Ann 15 paired with the Insulated Double Z will make all of my friends jealous but will make me miss breakfast. 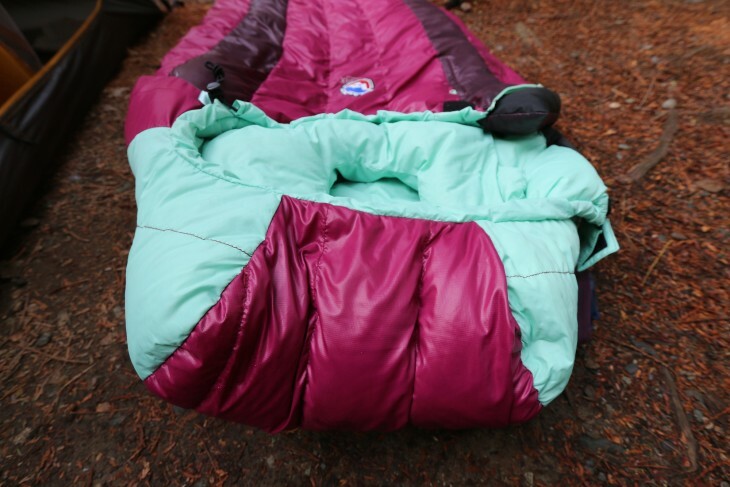 The sleeping system is an amazing way to camp (or sleep anywhere) and I only wish I knew about it sooner. You’d have to be crazy not to switch over to this kind of camping comfort. 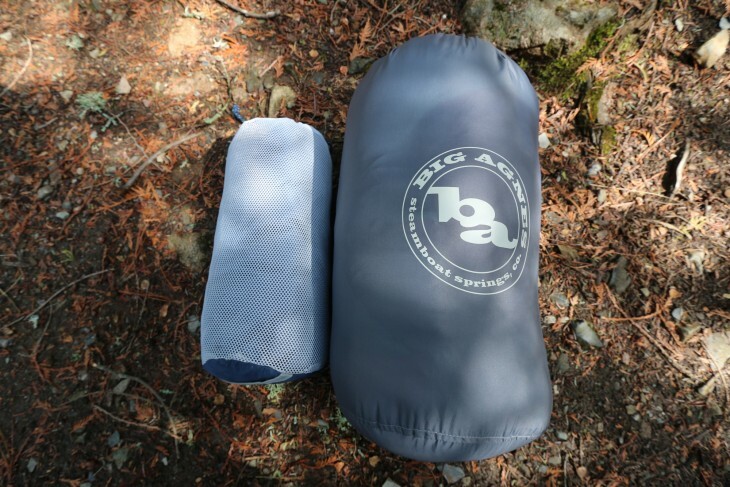 Big Agnes of course has many bags, pads, and systems to choose from so be sure you get on their website and check everything out!